The Press of Robert LoMascolo: New Workshop! 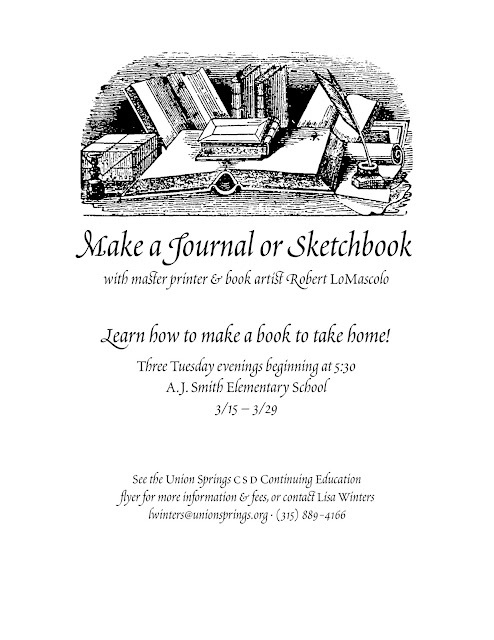 I will be teaching a bookbinding workshop in Union Springs, New York! 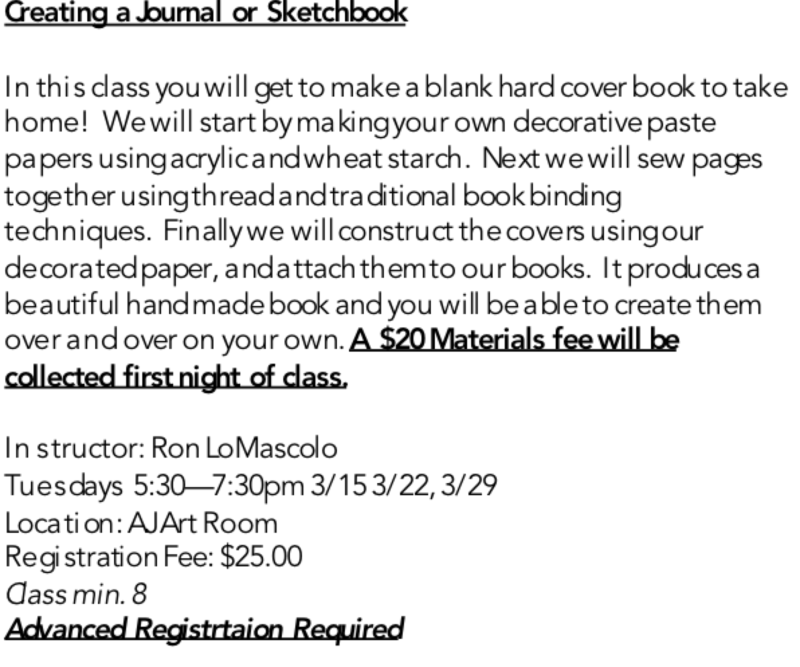 See http://www.unionspringscsd.org/districtpage.cfm?pageid=518 for fees, and to register. In this class you will get to make a blank hard-cover book to take home! 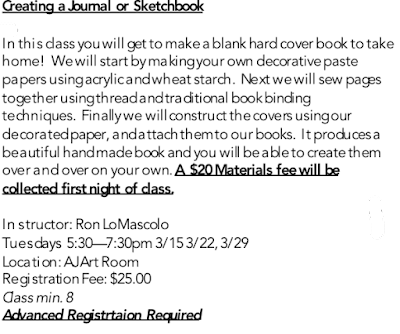 We will start by making our own decorative paste papers using acrylic paints and wheat starch. Next we will sew the pages together using thread and traditional bookbinding techniques. Finally, we will construct the covers using our decorated paper, and attach them to our books. At the end you will have a beautiful hand-made book and the knowledge to repeat the process on your own.